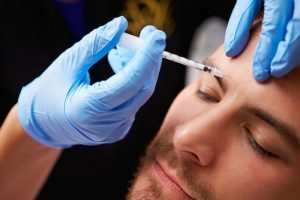 What Is Botox in Houston? If you are considering getting something like Botox to help you enjoy more youthful, radiant skin, it makes sense to get all the information possible before beginning with the treatment. One of the most basic questions is, of course, what Botox really is. Is it something your dentist injects into your skin to plump it up? That’s what most people think of when they hear “Botox,” but it’s actually inaccurate. In fact, Botox is a substance that freezes the muscles that cause wrinkles when they contract. Keep reading to learn more about Botox in Houston and how it can help you achieve the beautiful skin you desire… and deserve! About Botox: What Is It? Botox is an injectable substance that can be used to treat and prevent wrinkles. It is also the only FDA-approved treatment for migraines. It comes as a powder that your oral surgeon mixes with saline right before it is injected beneath the facial tissue. The substance is derived from a bacterium called Clostridium botulinum. This bacteria is regularly found in the natural environment, including in rivers, lakes, and forests. However, its use is also highly successful in preventing and treating fine lines and wrinkles. It works by targeting the muscles around your eyelids and in your forehead that cause wrinkles upon contraction. When clostridium botulinum is injected directly to these muscles, the problem is attacked right at the very source. If we are talking about what Botox is, it’s a good idea to cover what it’s not — and that’s a filler. A filler is a different type of cosmetic treatment that works by increasing the volume of deflated or sagging facial tissue. Botox, on the other hand, reduces the appearance of facial lines and wrinkles by preventing the contraction of muscles to begin with. Botox is most effective when performed in the upper region of the face, like the forehead and eyes, while fillers are better for the lower half of the face. Your oral surgeon can talk to you in further detail about which may be best for your skin. Clostridium botulinum, the bacteria from which Botox is derived, can also rarely release botulism. This occurs when the spores transform into vegetative cells and increase the cell population — and the result is toxic. However, Botox injections are FDA-approved for cosmetic and therapeutic use and are completely safe when administered by an expert, like your oral surgeon in Houston. Dr. Koo, Dr. Weil, and the team at Piney Point OMS are trusted providers of superior Oral & Maxillofacial Surgery services, including Houston Botox. To learn more about their offerings, you are invited to contact the office at 713-783-5560.
by: Dr. Steve Koo at February 23, 2018 . Comments Off on What Is Botox in Houston?